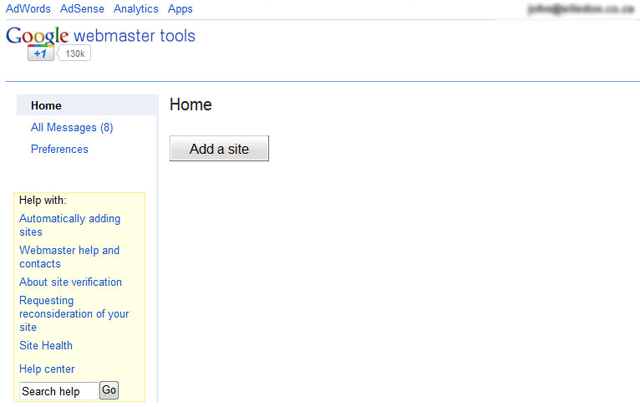 There are confirmed reports in the Google Webmaster Help forums that Google Webmaster Tools is not loading in all browsers. Thanks for the report. We know of an issue affecting how some browsers fail to display the new home page. Just to be sure what you're experiencing is not a new issue, can you please take a screenshot of how it's breaking for you? It would also help if you mention which version of Windows you're running. There is not estimate time for a fix for this bug. This isn't being widely reported or complained about either.